What happens to phones when they're recycled? If old mobiles have no value why is there such demand from businesses and charities for our unwanted handsets? Recycling our old mobile phones is something we all mean to do. But when we get home with a shiny new iPhone 3G we keep the just-out-of-contract handset as a spare. It then joins the previous generations of 'spares' fighting for space in a drawer with cables, power blocks and other electronic detritus. 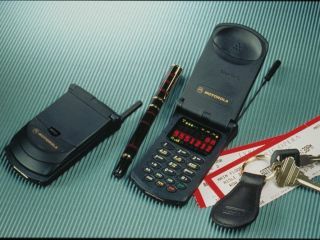 By the time we actually get around to seriously considering disposing of them, the handsets are obsolete and worthless. Or so we think. But if they had no value why is there such demand from businesses and charities for our unwanted mobile phones? In fact most handsets can be refurbished. "Only about 3-4 per cent of the phones we receive are BER, beyond economic repair," says Simon Walsh, Sales and Marketing Director for the leading British phone recyclers ShP. There's a good chance the phone you donated to charity, traded in for a new one at work or sold through MoPay will end up at ShP. As a phone arrives it goes through a rigorous testing process which starts with a check of its IMEI number against the Central Equipment Identity Register (CEIR) database to ensure that it's not been lost or stolen. Then components such as the keypad are checked. Many phones are then passed to specialist repair centres. Even handsets that are BER are valuable. They contain small quantities of metals such as platinum, gold, silver and copper which may end up as jewellery. Batteries contain nickel which can be combined into stainless steel for saucepans. The plastics can be melted down to be made into sheeting or traffic cones. This work is carried out by ShP in the UK, but other recyclers such as Regenersis send the material to specialists in Sweden and France. Both companies operate a zero landfill policy. Of the phones that can be re-used, about 20 per cent stay in the UK according to ShP. If you've ever had a lost or stolen phone replaced under an insurance policy this is probably where it came from. You don't generally get a brand new handset. The rest of the phones are sent to emerging markets in places such as Russia, Asia and Africa where there are few landlines. Next Page Guess who's not happy?